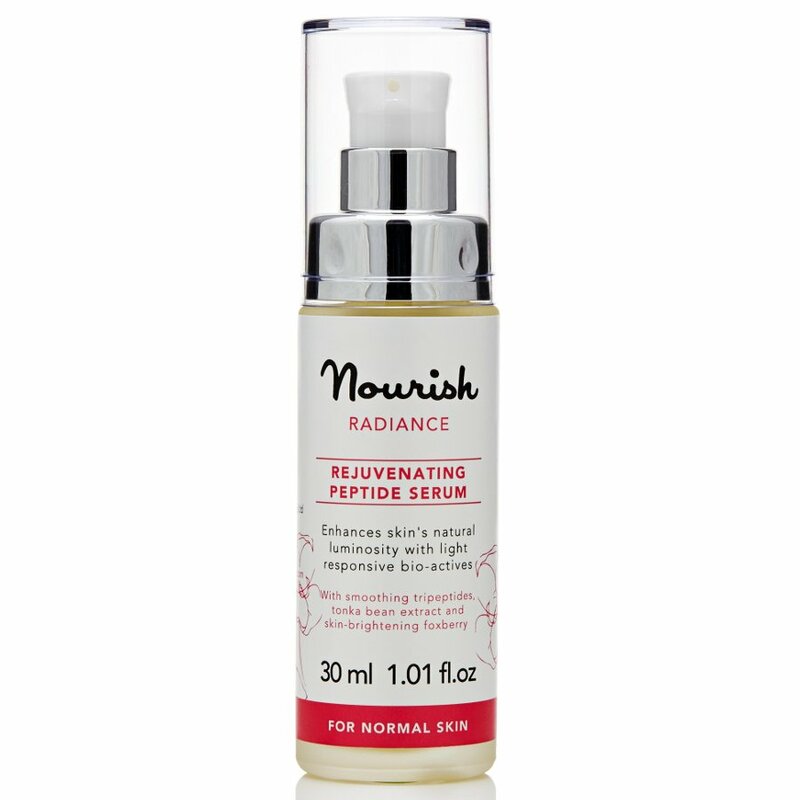 Rejuvenate and hydrate tired skin with this radiance boosting Rose peptide serum from Nourish. Made with a unique blend of botanical extracts, this non-greasy serum is an effective hydrating primer that leaves your skin visibly healthy and radiant. Recommended for normal skin. Certified 81% Organic. Nourish Radiance: Enriched with the fragrant essentials oils of Rose Absolute this range helps to lift tired and dull skin. Contains skin brightening bio-actives of Alpine Foxberry known to reduce pigmentation and Tonka Bean; a proven light-responsive optical brightener which together help to enhance the skins natural luminosity. The addition of Pumpkin Seed, rich in Omega 3 & 6, helps maintain a balanced lipid protection barrier and the Hyaluronic Acid and Tripeptide 5 help to plump and reduce wrinkles. Aqua (water), Arctostaphylos uva ursi (foxberry) leaf powder*, Glycerin, Coco glucoside, Palmitoyl Tripeptide-5, Xanthan gum, Sodium levulinate, Levulinic acid, Potassium sorbate, Sodium hyaluronate, Lactobaciilus/dipteryx odorata (tonka) seed ferment filtrate, Leuconostoc/Radish root ferment filtrate, Rosa damascena (rose absolute) flower extract, Citronellol, Eugenol, Farnesol, Geraniol, Linalool *Certified organic. Naturally present in essential oils. 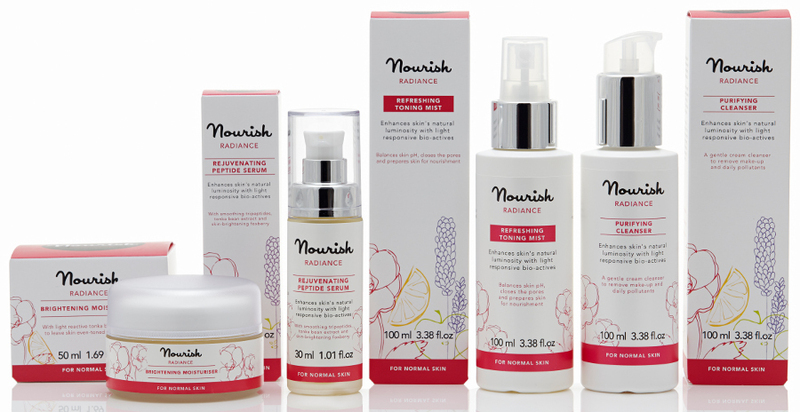 There are currently no questions to display about Nourish London Radiance Rejuvenating Rose Peptide Serum 30ml.